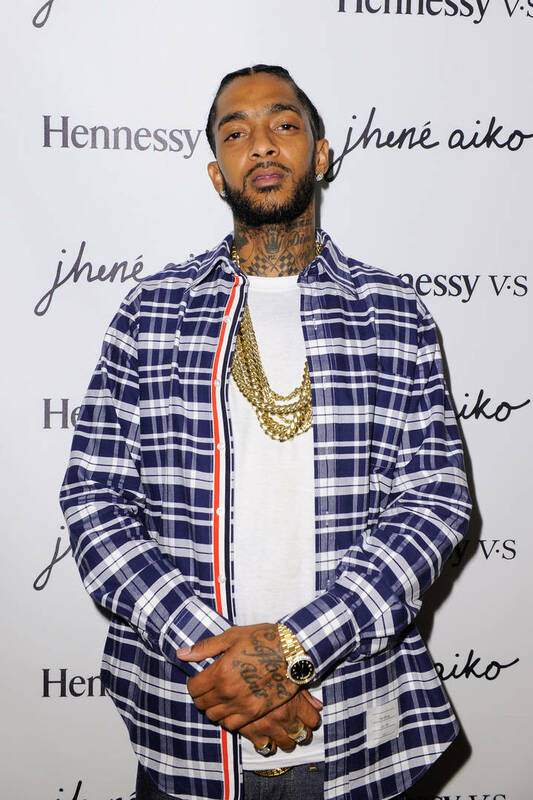 The Staples Center, along with Nipsey Hussle's loved ones, are preparing for the "Celebration of Life" memorial service for the rapper that will be held this Thursday. Yesterday, the venue released details of the service, including that California residents may attend for free and tickets go on sale today at 10:00 a.m. on axs.com. They also wrote, “Out of respect to the family, cameras and recording devices will not be permitted inside the venue. You may be asked to leave the event if you are found recording or taking photos." TMZ is reporting more about the plans for the day, including details regarding the funeral procession that will take place. According to the publication, Nipsey's casket will be driven around the city of Los Angeles, a 25-mile stretch. It will be Nipsey's last tour of the streets that he loved before he is laid to rest. It's reported that he will pass by many familiar landmarks, including his Marathon clothing store where he lost his life. The rapper's casket will be at the memorial and the procession is reportedly scheduled to begin as soon as the service ends. According to TMZ, Nipsey's family wanted to make sure that the community who wanted to pay their respects and honor Nipsey would be able to along the route. The procession is expected to take approximately an hour and a half to complete and will end at a funeral home in the Crenshaw district.